Doctor Richard Boylan, and numerous others have already let the cat out of the bag when it comes to anti-gravity space flight, so why do Boeing and Lockheed, two of America’s largest military industrial contractors, and the recipient of trillions in taxpayer ‘black budget’ dollars still hide that they are operating at least 12 anti-gravity aerospace platforms? 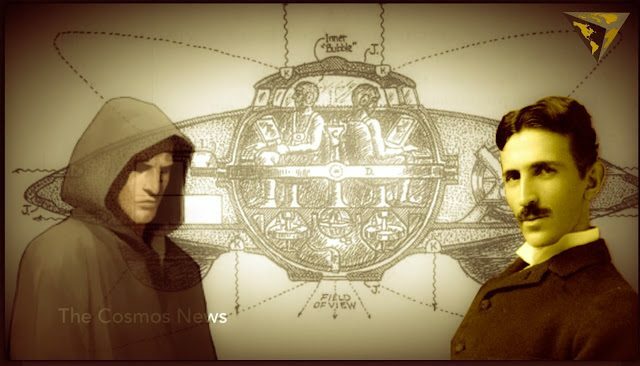 It seems that Boeing hides this advanced aerospace technology because it would prove what many free energy enthusiasts have said about Nikola Tesla – that he discovered anti-gravity, and learned how to utilize it as an abundant, if not free, energy source. Objects can even be levitated easily with anti-gravity, and its numerous applications are just beginning to be understood by the public at large. The late genius and inventor even explained the fact prior to his death. William R. Lynewrites in Occult Ether Physics (Creatopia Productions), that a lecture Tesla prepared for the Institute of Immigrant Welfare (May. 12, 1938), dealt with his Dynamic Theory of Gravity. Indeed, Tesla held a pa tent in 1928, for a flying machine which resembled both a helicopter and an airplane and is thought to have run with the benefit of anti-gravity. And Ben Rich, once the CEO of Lockheed Martin, admitted on his deathbed that “aliens were real,” and the “US military already travels to the stars,” explaining where this technology could have been sourced, aside from terrestrial beings like Tesla. This means that for more than 130 years we have been kept in the dark about a known free energy source so that the powers-that-be can profit from our ignorance. Every time you see a ‘rocket ship’ go up in space, it is essentially no different from the false flagattempts orchestrated by six media companies controlling the media to alter your perception of reality. Indeed, you can see the crumbs of government contractor’s special operatives at work when you look into the work of John Hutchison. He discovered, “highly-anomalous electromagnetic effect which causes the jellification of metals, spontaneous levitation of common substances, and other effects,” which echo Tesla’s findings. These strange effects were later dubbed the Hutchison effect. “At this time, I am aware of the existence of 12 kinds of special-technology advanced aerospace platforms [mil-speak for craft], all incorporating antigravity technology in some form. Since at least 1956, the press has been trying to manage public awareness by staying hush-hush about anti-gravity research, or discounting those who attempted to show that it was real. However, a trade press magazine, the Aviation Report, made numerous references to anti-gravity projects, and listed many of the companies pursuing research into anti-gravity technologies. Quotes from the Aviation Report listed in the Aviation Studies (International) Ltd. report are suggestive of what was truly going on at Boeing, Lockheed and other agencies despite what the public was being told. Anti-gravity, first and foremost would make petrol-guzzling cars, crumbling electric grids, and other outdated and dirty fuels a total waste of time. Anti-gravity, as Nikola Tesla made clear, would make space flight to other heavenly bodies as simple as driving your car to a nearby city, today. It would also turn Einstein’s E=MC2 theory on its head, and it also suggests, as Tesla explained, that the ether is given to us to use responsibly by a life-giving creative force.